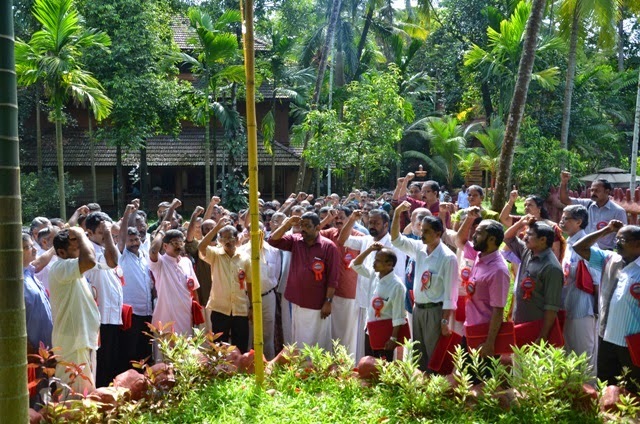 Confederation’s state study camp of Kerala held at Pulamanthole in Malappuram District. 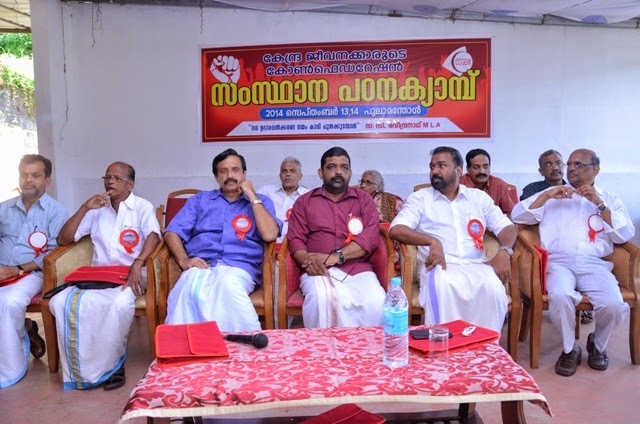 Prof. C Raveendranath MLA inaugurated the camp and delivered his thoughts on “Saffronisation of neoliberal policies” Com. K K N Kutty, All India president of the confederation facilitated. Com. 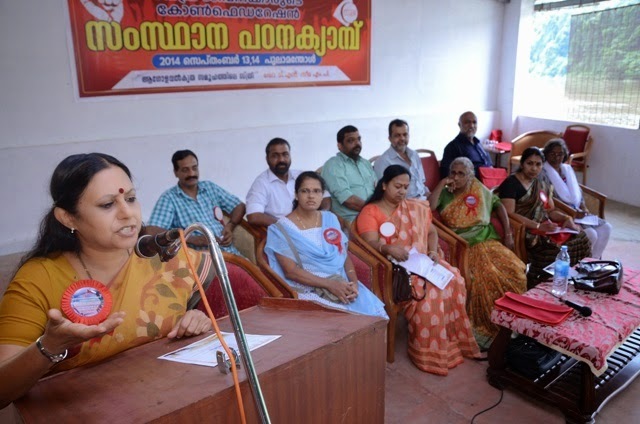 P Rajeev M P presented the subject ‘Corporatization of Media’ Renowned Malayalam Poet Sri. 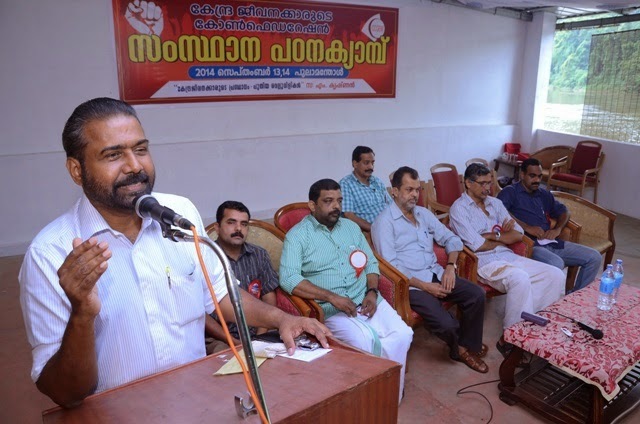 Alankode Leelakrishnan made a speech on the subject’ Devaluation and cultural unity in modern society’. Com. M Krishnan. Secretary General of the confederation took a class on the subject Problems of Central Government Employees and future programs. Dr. T N Seema, MP took another class of ‘Women in the globalized scenario’ A solo drama on the basis of the poems of renowned poetess Sri. Sugathakumari was played by Com. T P Mansiya. More than 200 delegates representing various organizations affiliated to the confederation represented the camp. The reception committee led by Com. P.K. 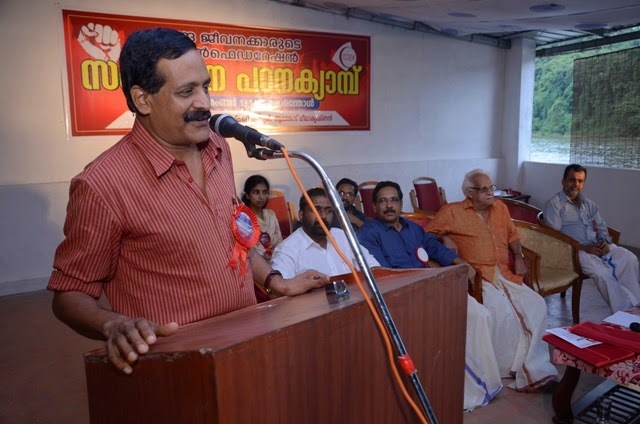 Muaraleedharan, P Rishikesh Kumar. 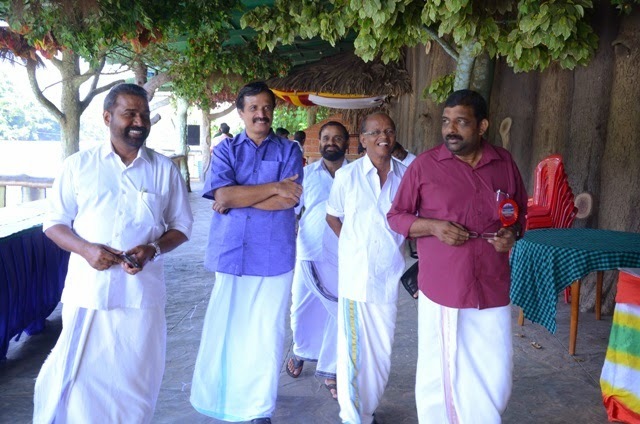 P Satish Chandran, M Thomas made elaborate arrangements for the successful conduct of the study camp. The camp held at a place of marvelous natural beauty.